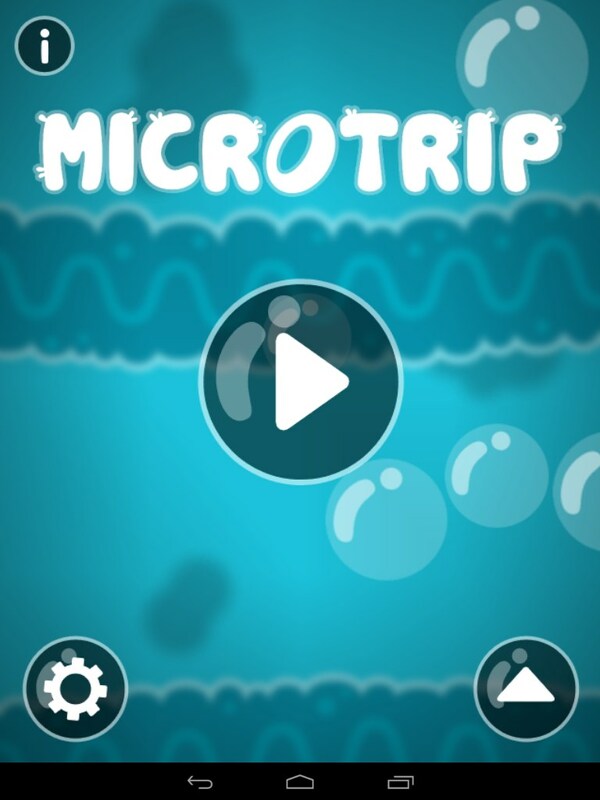 Microtrip – Games for Android 2018 – Free download. 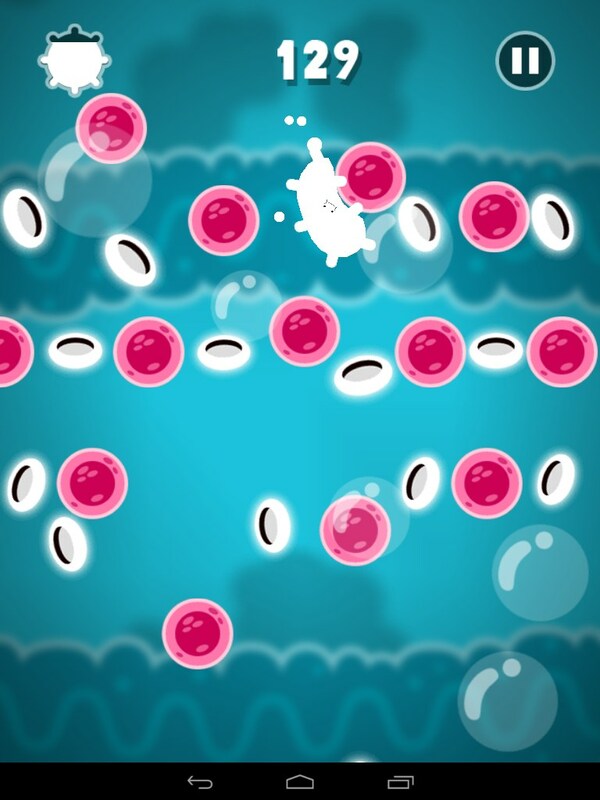 Microtrip – Zippy-Trippy Fun. 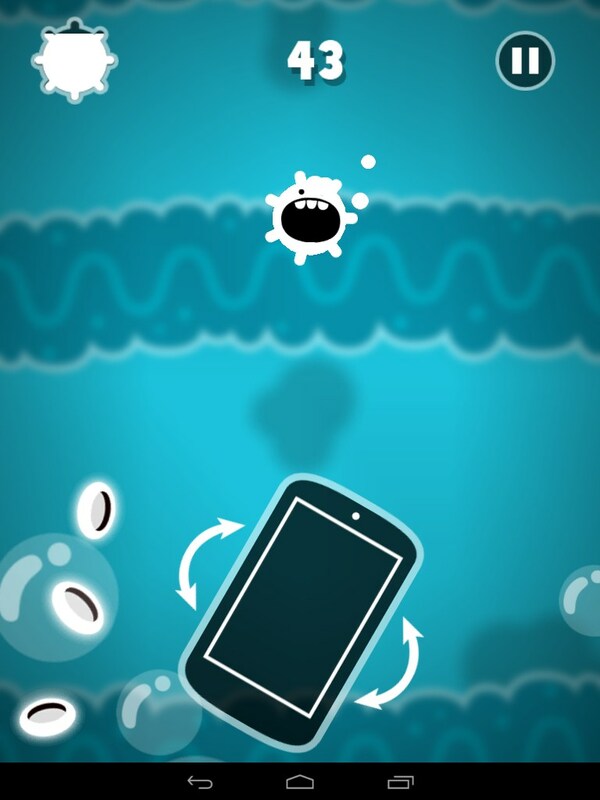 Microtrip for Android is really cute and a lot of fun. 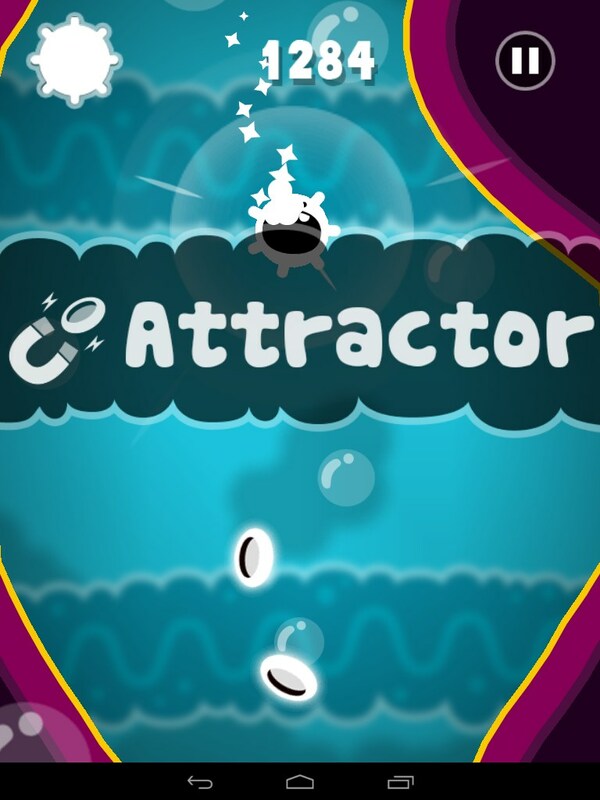 One of the most addictive games I’ve played in a while. It's sort of an Android twist on the movie Innerspace. 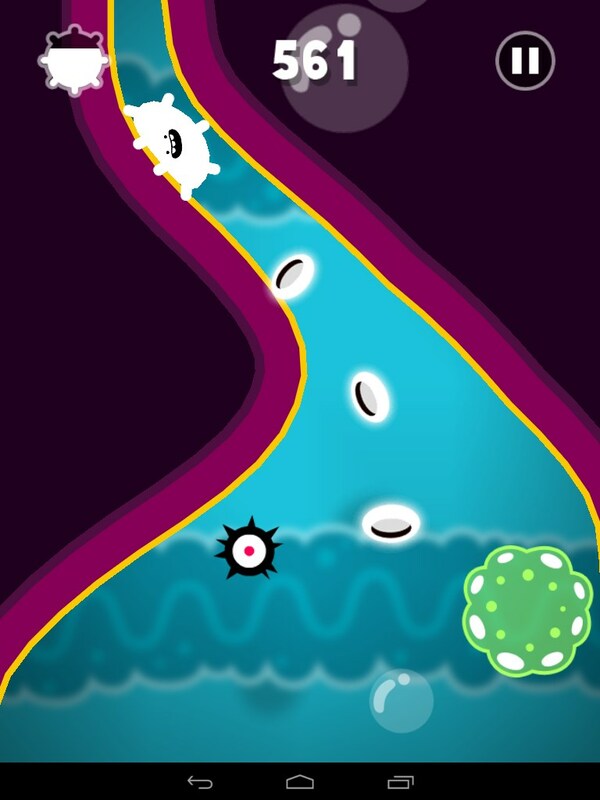 The lead character in Microtrip is a silly looking little microbe, with a cute smiley face. 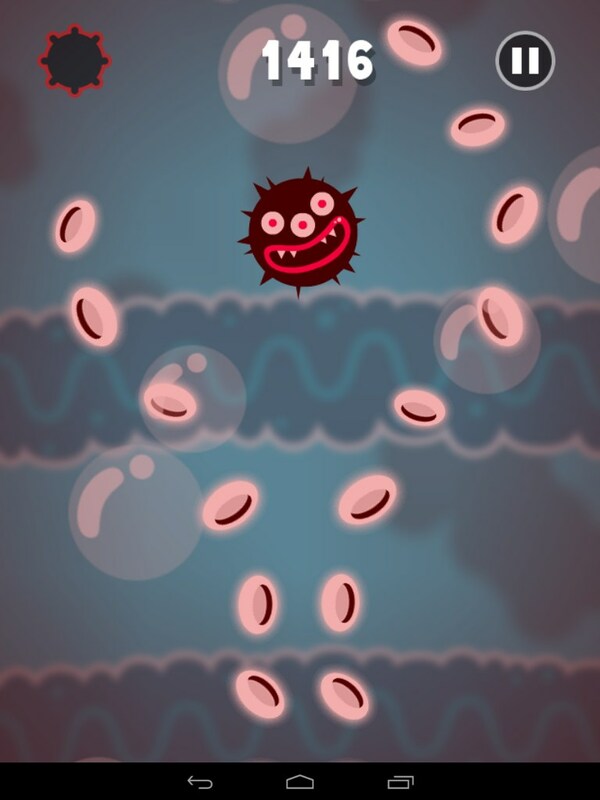 He’s just the most adorable little microbe I ever did see, and he’s on a really big adventure through your bloodstream, gobbling up platelets and cells like a Pac Man running through your veins. But be careful! 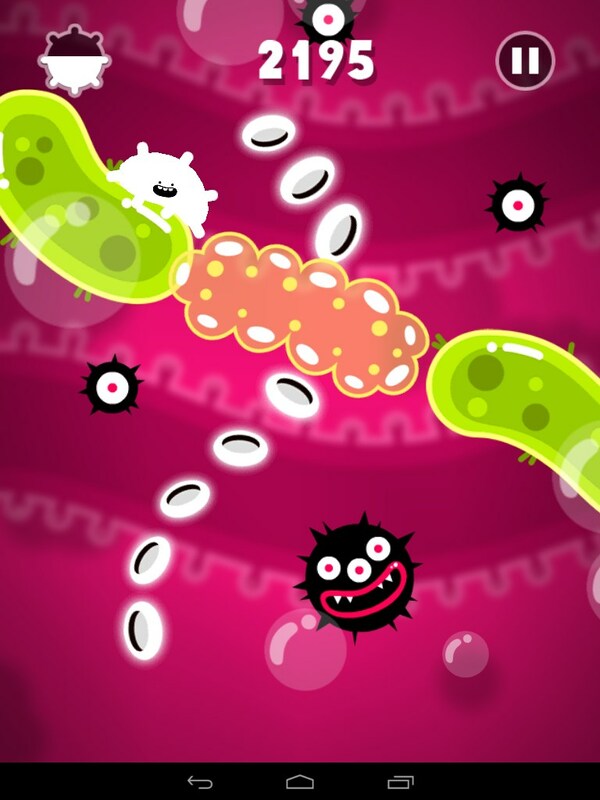 There’s viruses, staph infections and who knows what else that can harm our cute little microbe. 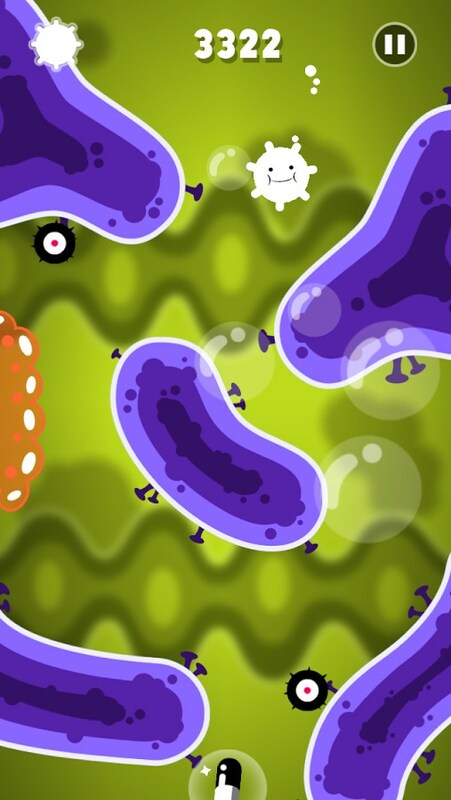 But fret not, cuz there’s also power ups that make the little microbe repel those disgusting enemies, and some power ups attract more cells toward the microbe so he can gobble them up even faster. Travel through tight squeezes, whacky bumpers and sticky goo, avoiding the diseases while gobbling as much as you can. Graphics are very colorful and engaging. This game is as fun to look at as it is to play. 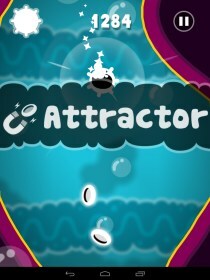 And the sounds are appropriate and actually enhance the game (shocker!) unlike most other games where the soundtrack just gets annoying, fast. And there’s lots of interesting settings. 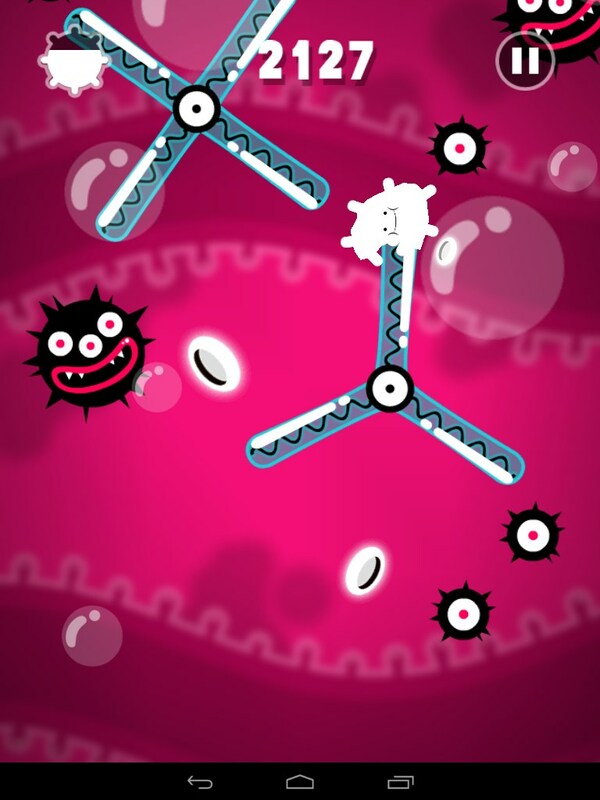 The controls are very easy and responsive, just tilt your gizmo to adjust the microbe’s decent, deeper and deeper into the bioscape. Microtrip is just good clean fun. Kids would love it, as will gamer aficionados. Great game all around. Highly addictive.